Kubota extends its chopper range introducing the new Side Pivoting Chopper SE2000P series. A new multi-purpose chopper suitable for road maintenance, clearing out field edges, ditches and hedges. 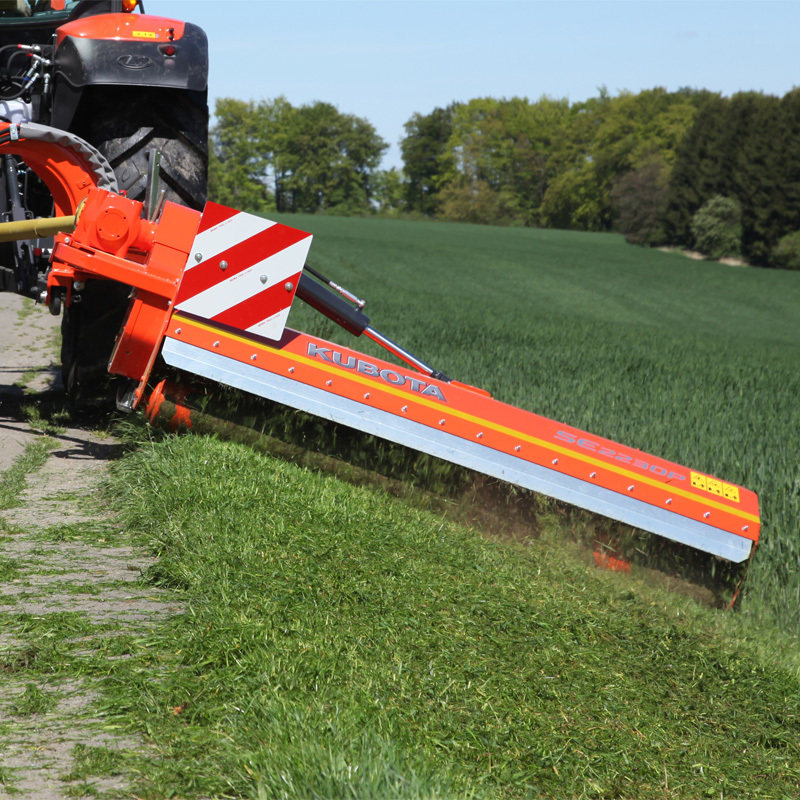 In addition, the new Kubota SE2000P series allow a versatile use on grass, light wood and bushes ideal for up keeping parks, gardens and road side. Combined with a front chopper (Kubota SE4000 or SE6000) the pivoting chopper SE2000P ensures high performance in all circumstances. 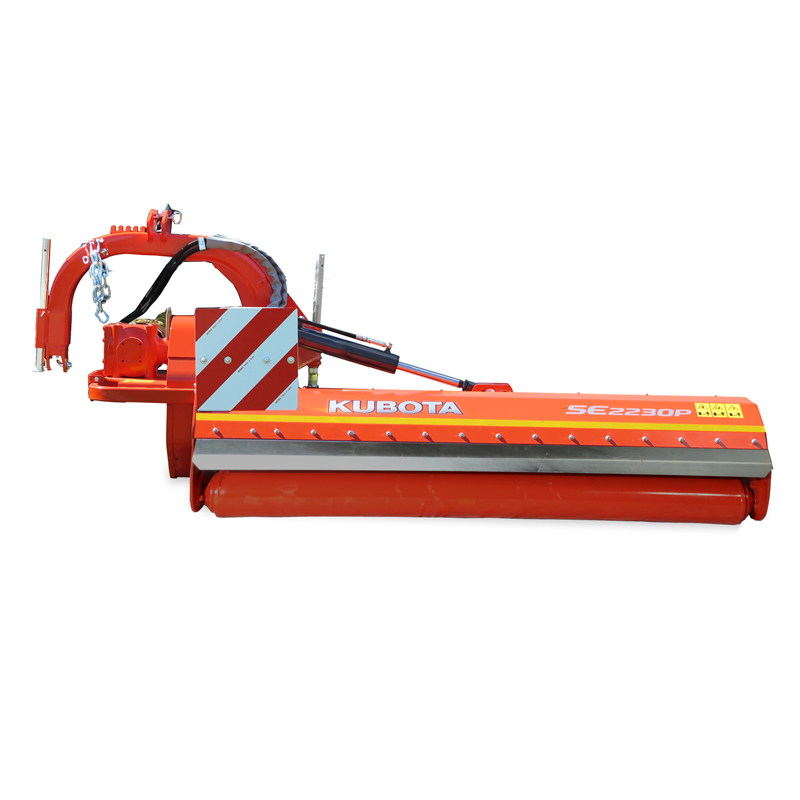 The Kubota SE2000P is of a compact, rounded shape for a perfect view of the chopping area but with strong articulations, which allow high maneuverability and ensure high reliability during work operation. The major offset ability compared to Kubota SE2000 standard allows more capacity and simplicity in use.